Yup, its time of the year to crank up the romance fever with the color of passion, red! Red, as we know symbolizes love, anger, revolution and passion. 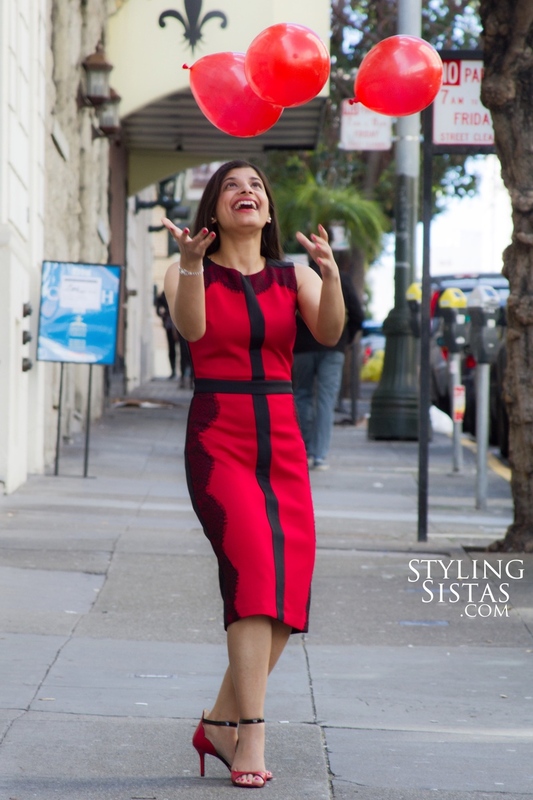 Styling sisters are on the prowl to get the perfect outfit for themselves and their friends who are trusting them with the responsibility to shop and dress-up for a special date night (or two!). Pra’s is in a classic Valentine’s Day color, scarlet red. The figure hugging sleeveless dress fits her like a glove. The midi-length dress paired with open toe heeled ankle strap sandals, visually adds length to her legs. The black lace over the side seams not only play up the flirt factor inherent in lace, but also her curves. The color block design of this dress reminds one of Yves Saint Laurent’s Mondrian Collection, which had catapulted him to the forefront of fashion world in 1965. 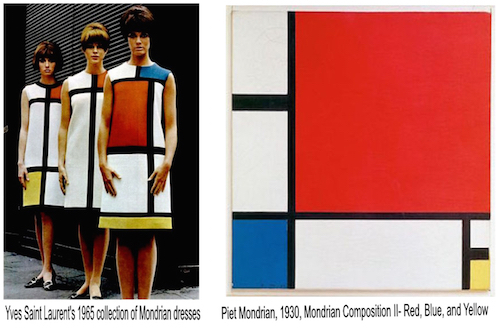 Yves Saint Laurent’s 6 Mondrian dresses of that collection was a tribute to Piet Mondrian’s paintings, called neoplasticism (an off shoot of the De Stijl art movement). Mondrian drew horizontal and vertical black grides over squares of white and three primary colors. Now coming back to Pra’s look, she chose to keep the accessories to a minimum as the dress is very bold colored. She is carrying a black and white stripe convertible clutch. 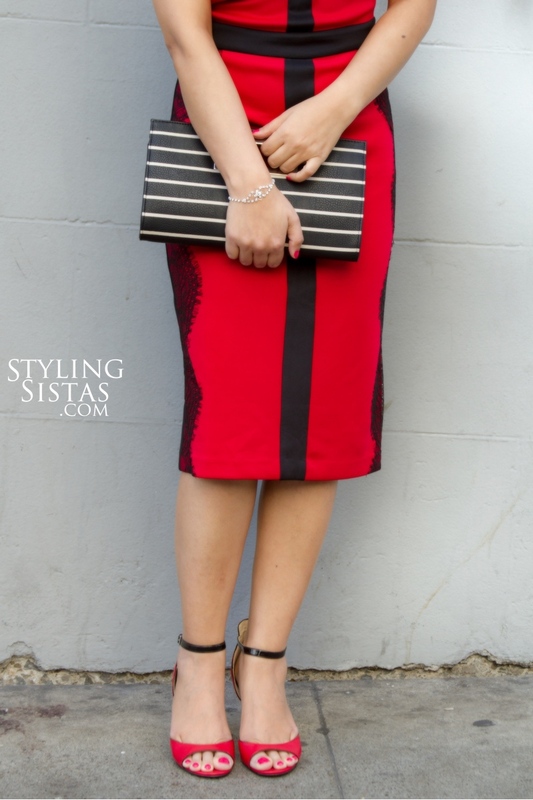 The clutch goes well with the clean cut dress and rounds up another classic color combination of red, black and white. Her eye make up is minimal, but of course, she didn’t forget to paint her pout red!